PRICED FOR A QUICK SELL! 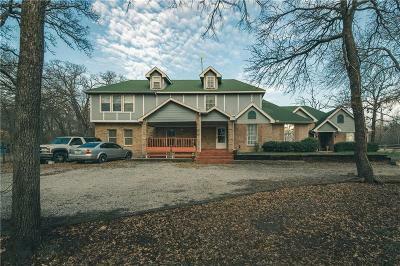 HOUSE SOLD AS IS, WONDERFUL PROPERTY THAT BORDERS AZLE, 5 ACRES OF BEAUTIFUL COUNTRY PROPERTY WITH WONDERUL FEATURES. 6 BEDROOMS, 3 BATHROOMS, AMAZING CONDITIONS, NEEDS A LITTLE TLC, HOUSE AND PROPERTY ARE AMAZING. EXCEPTIONALLY WELL KEPT BY OWNERS. ROOF IS NEGOTIABLE ITEM WITHIN CONTRACT OFFER. DO NOT MISS THIS WONDERFUL PROPERTY! !